On Friday afternoon 8 September 2018 in Lenzerheide, Switzerland, Team Spur’s Alan Hatherly executed a tactical masterclass to wrestle the U23 UCI XCO World Championship jersey onto his shoulders. Flat-out racing from the starter’s gun played into the 22-year-old South African’s hands as he put all his racing experience to the ultimate test on a challenging course, covering his rivals closely through the opening laps before breaking clear of the pack with American Chris Blevins. It proved to be a race-winning move, with Hatherly laying it all on the line in the final lap to take victory. Blevins crossed the line in second. Cross-country starts are critical, and in the U23 category the starter’s gun signals a frenzied scrum of riders at high speed wanting to assert themselves. The bottlenecks that present themselves early in the Lenzerheide course made the Championship start even more critical. Hatherly used his front row start to manoeuvre himself into second wheel entering the first single track. “If you’re any further back than about sixth wheel you’ll get caught up in the bottle necking,” said Hatherly. The U23 pre-race favourites and big hitters were all together through the first two laps as they jostled for position. A strong nine-man pack emerged. “The second lap was mayhem as riders took pretty big chances and were not shy to let you know where they wanted to be in the bunch,” reflected Hatherly. Having tested his rivals occasionally in the lead and seen who was up to scratch, Hatherly casually moved to the front on Lap 3 and started mixing things up. “I shifted to the front and put some pressure on the climb, but also maintained that pressure through the technical descent and rolling climbs. I think this is where the gap formed as it was soon Chris Blevins [USA] and I off the front with a few riders behind working to rejoin,” said Hatherly. The two Specialized riders worked together as they had done a few weeks ago, when they found themselves in the same situation at the Canadian round of the UCI World Cup series. “We have such a similar ride style, it’s awesome to sit at the front and keep the constant pressure on!” Hatherly admitted. The small gaps behind the two leaders soon stretched out substantially, with only Dutch rider David Norderman lurking ominously 20-30 seconds back. Lap 5 offered a glimpse of how deep Blevins was in the hurt box and Hatherly quickly made plans to exploit the weakness with a monster effort late in the race. “I sat up on Lap 5 to get Chris to come to the front. When he just held my wheel I knew he was in some pain,” said Hatherly. Hatherly didn’t want the race coming down to a two-up sprint against his American rival, as Blevins’ road race pedigree is widely known and he may have had the upper hand with only 100m of tar to cover to the line. Into the final lap Hatherly knew it was now or never, and he buried himself to snap the elastic band connecting him and Blevins for the previous three laps. Hitting the course’s first technical sections at pace, Hatherly was able to put six seconds into Blevins. But that wasn’t enough and Hatherly went again, forcing the gap out even further as the finish line and its throng of cheering fans grew louder. Hatherly kept pushing and crossed the line comfortable, a full 27 seconds clear of Blevins in second. Claiming the U23 World Championships title and the coveted rainbow jersey is a dream come true for Hatherly: “This is bucket list stuff and something I have dreamed of for years. For it all to come together so well… I am blown away that I actually achieved this win,” an elated Hatherly said after the lung-busting effort. “It is kind of a bitter sweet moment however, as I move to the Elite category next year and won’t get to rock this [U23] jersey. But to be able to call yourself World Champion is an amazing feeling and I am looking forward to stepping into the big leagues next year,” Hatherly said. Alan now shifts focus to UCI Marathon World Champs next weekend, where he will join Team Spur teammate, Swiss marathon specialist Ariane Lüthi, in the Italian Dolomites for the last race in Europe for the year. The UCI World Championships is the biggest race for any rider – an opportunity to earn the coveted rainbow jersey and bragging rights as World Champ for a full year. Team Spur’s Alan Hatherly takes aim at the U23 World title on Friday afternoon on a natural course, littered with roots and slick wood sections, in Lenzerheide, Switzerland. And mountain bike fans can follow the bar-to-bar action live! Last year Hatherly raced to second at the UCI XCO World Championships in Cairns, Australia in a thrilling battle with New Zealander Sam Gaze that went all the way to the line. Gaze moved into the Elite age group in 2018 while Hatherly gets a final shot at the U23 rainbow jersey. He carries plenty of confidence into Friday’s race, having finished fifth overall in this year’s U23 World Cup series and claiming a victory in Round 6 at Mont Sainte-Anne in Canada. But the South African is no shoo-in for victory at the high altitude race venue in Lenzerheide. The U23 category is fiercely competitive. Norwegian powerhouse Petter Fagerhaug, Swiss whiz Filippo Colombo and Frenchman Joshua Dubau represent the biggest challengers to Hatherly’s dominance. But the U23 ranks run deep with talent and skill and attacks will come from any number of the highly-motivated youngsters. Hatherly’s training partner, Danish superstar Simon Andreassen, as well as rising star Christopher Blevins from the US will be fighting fit and won’t back down. The U23 men race at 16:30 local time (the same in South Africa) on Friday afternoon, and there will be live streaming on the UCI Youtube channel. 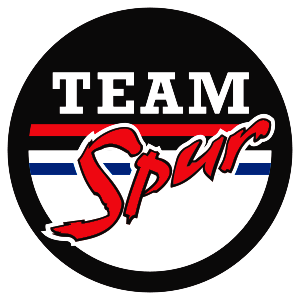 Team Spur will also be covering the race from its twitter page. The live video streaming is a welcome development, and an opportunity for fans to see the ferocious pace and silky skills of the world’s most talented young mountain bikers. Team Spur fans have been reduced to following Hatherly’s exploits across the globe in 2018 via the team’s live twitter feed updates, as U23 World Cup races aren’t broadcast live. Rain is forecast for race week and in course practice riders are already battling to stay upright on sections of the slippery track. Hatherly has raced a few wet World Cup events this year with mixed results, but a solid understanding of how to approach a race when the weather turns against him. “It’s all about being stable on the bike and controlling the slides which will inevitably come,” Hatherly says. It is a proud day for Hatherly and Team Spur, who are ambassadors to the wildly successful Spur Schools Mountain Bike League back home in South Africa. Hatherly himself is a product of the Spur League and Team South Africa will be represented today (Thursday, 6 September) by no fewer than five Juniour riders chasing glory. Spur League riders Tiffany Keep and Zandri Strydom are the Junior women hopefuls, while Daniel van der Walt, Jamie Penfold and Keagan Bontekoning will line up in the green and gold national kit for their first World Championships event.